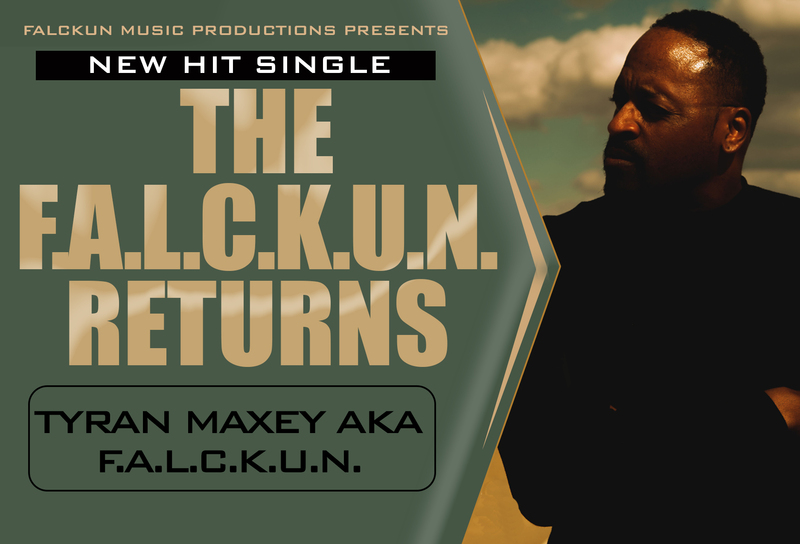 Re-introducing Tyran Maxey aka F.A.L.C.K.U.N. an underground hip-hop rap specialist who concentrates on the realities of life by illustrating his ability to story tell. Previous influences, include some of the original pioneers such as, Slick Rick, KRS-One, NWA, and Wu-Tang Clan. Tyran Maxey is broadening his horizons to the next level of attempting to assist in restoring an area of hip hop. Music has its many styles doesn’t take away that there is a need for the re implementation of conscious awareness. Rap is an art that is sacred beyond any outlook however, our eyes must be re-opened to its true value. In doing so, F.A.L.C.K.U.N. pledges to accomplish this task. The lead single, entitled “The F.A.L.C.K.U.N. Returns” reiterates a ferocious form of lyrical content to grab the attention of the listeners which will provide a new found soothing relief to the ears. AVAILABLE FOR PURCHASE NOW EVERYWHERE!